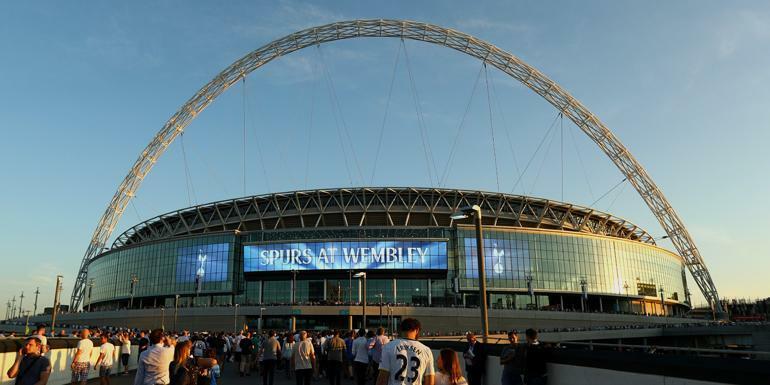 The Premier League returns after a two week break with one of the biggest fixtures of the campaign as Spurs host Chelsea at Wembley on Saturday. Maurizio Sarri has been lauded by many for the start his Chelsea team have made, as well as his style of football, but Chelsea are just one point ahead of fourth-placed Spurs in the Premier League table. Spurs have won six of their last seven games in the Premier League whereas Chelsea are unbeaten under former Napoli boss Sarri, winning eight of their opening twelve matches. 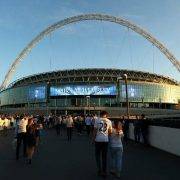 Mauricio Pochettino’s side will certainly want to extend their winning run in all competitions to five and inflict a first defeat of the season on their London rivals. Spurs have been boosted by the news that Jan Vertonghen has returned to first team training. The Belgian centre half, the most capped player for his nation, has been out for nearly two months after picking up the injury against Huddersfield at the end of September. The news of Vertonghen’s return is good timing for Spurs, as Davinson Sanchez will be sidelined for around a month with a hamstring problem. Spurs manager Pochettino confirmed in his Thursday press conference that he hoped his record signing would be back before the New Year. Kieran Trippier is also out for Spurs but is hoping to return to first team training before the end of November. Danny Rose is entering the final stage of rehabilitation after a groin injury whereas Mousa Dembele is still in Qatar for rehabilitation on his ankle injury. As for Chelsea, the biggest injury concern is midfielder Mateo Kovacic. The Croatian has a muscular problem which could mean he is only fit enough to be on the bench. If that is the case then Ross Barkley is likely to start, with Ruben Loftus-Cheek unlikely to make the starting line up ahead of him. There is also a decision for Maurizio Sarri to make in terms of who to play as his lone striker. Alvaro Morata has been in goalscoring form recently and may get the nod ahead of former Arsenal man Olivier Giroud. 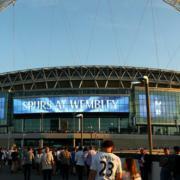 Spurs have a few injuries but will still put out a strong starting eleven against Chelsea. With Kieran Trippier out, Serge Aurier is expected to come in at right back. Although Jan Vertonghen is back in training, Mauricio Pochettino may not rush him into the team with a number of games on the horizon. Therefore Juan Foyth may get a third Premier League start in a row with Davinson Sanchez unavailable due to injury. 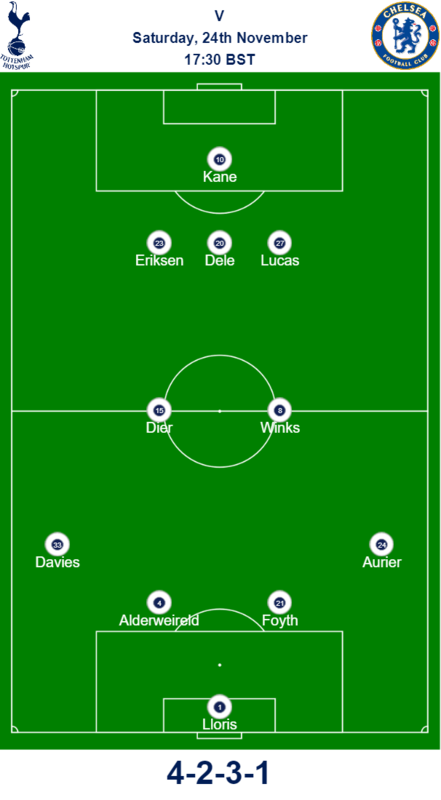 Mousa Dembele is still out so we think the two deeper lying midfielders for Spurs will be Eric Dier and Harry Winks, although Moussa Sissoko may be utilised in that position by Pochettino and there is always the option of playing Victor Wanyama there. 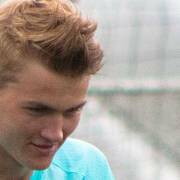 Dele Alli and Christian Eriksen are back to full fitness so should both start along with either Lucas Moura or Heung-min Son. We’ve gone with the Brazilian to play on the right hand side of midfield, with Erik Lamela not expected to come back into the starting eleven because of his recent international commitments with Argentina. The lone striker will of course be Harry Kane. The England captain scored the winner at Wembley under a week ago and Spurs will be hoping he can do the same against Chelsea this weekend. Unsurprisingly Eden Hazard is our pick for the Chelsea player to watch out for. Of course Chelsea have a very talented squad with world class players like N’golo Kante but Hazard tops the lot. 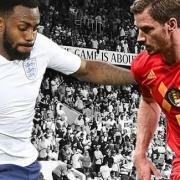 The Belgian reached new heights at the World Cup and has carried on that form into the Premier League this term, notching up seven goals and four assists. Midfield pivot Jorginho is also dangerous and, if allowed time and space, can dictate the game with his vast range of passing. Martin Atkinson will be the man in charge for Spurs v Chelsea. He has refereed Spurs twice this campaign, against Newcastle in the first match of the campaign and more recently in Spurs’ 1-0 victory over West Ham. Atkinson has produced thirty-eight yellow cards, one red and three penalties in the Premier League games he has officiated in this term. This fixture always produces a fiery encounter and we are expecting the same on Saturday. Chelsea have a very strong squad, and Spurs will do well to keep their attackers quiet, however Mauricio Pochettino also has some world class players at his disposal. Christian Eriksen and Dele Alli have returned to full fitness at the perfect time and, along with Harry Kane, could give the Chelsea defence a torrid time on Saturday. No matter what happens, we are expecting goals.